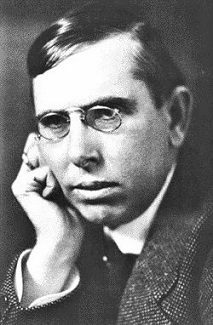 Ms. Haley knew Theodore Dreiser’s sister Maria Franziska Dreiser (1861-1944) – known by Ms. Haley as Mary and by the Dreiser family as Mame — and her husband Austin Daniel Brennan (1874-1928) well. In the article, she provides brief reminiscences of Mame and her husband; Theodore’s Dreiser’s father and mother; Theodore and Mame’s brother Paul Dresser, the songwriter (1858-1906); and a “red-headed nephew” (not named here), Carl Dresser (1888-1915), who was the son of Theodore and Mame’s sister Cacilia (Sylvia) Dreiser. This entry was posted in biographical (including posts with fragmentary but potentially useful biographical information about Dreiser, his family, or associates), Dreiser's family and relatives and tagged Austin Daniel Brennan, Carl Dreiser, Carl Dresser, Carmel O'Neill Haley, Carmel O'Neill Haley "The Dreiisers", Father Ollardine, Father Van Rensellaer, Johann Paul Dreiser, Maria Franziska Dreiser, Mary Dreiser, Paul Dresser, Sarah Maria Schnepp, Theodore Dreiser on November 9, 2016 by Roger W. Smith.